Drew Spoelstra was re-elected by the OFA Board of Directors as the fourth Executive Member at the 2018 Annual General Meeting. Spoelstra is serving in the role for a third-term. He is the Zone 5 Director representing the diverse agricultural areas of Halton, Hamilton-Wentworth and Niagara. He has been a member of the OFA Board since 2013. The Spoelstra family own and operate Roy-A-Lea Farms Ltd. in Binbrook, which is located in the south-east corner of the City of Hamilton. They milk 50 cows and grow corn, soybeans, wheat and hay. Drew and his wife Heather raise and show Clydesdale horses and he also manages Roy-A-Lea Seeds Ltd., a dealership for Pride and C&M seeds. Over the years he has been heavily involved in the local agriculture community and has served in many leadership capacities. 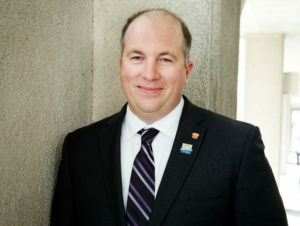 He is the current Chairman of Hamilton’s Agriculture and Rural Affairs advisory committee, Vice President of the Hamilton Wentworth Federation of Agriculture, past president of the Binbrook Agricultural Society and the Wentworth Soil and Crop. Spoelstra is a former top 4-H member, Ancaster Fair Ambassador and graduated from the Advanced Agriculture Leadership Program Class 13 in 2011.